A deliberately eccentric, deliberately B movie style in acting and looks, deliberately made to look like it is set in the seventies but clearly not. 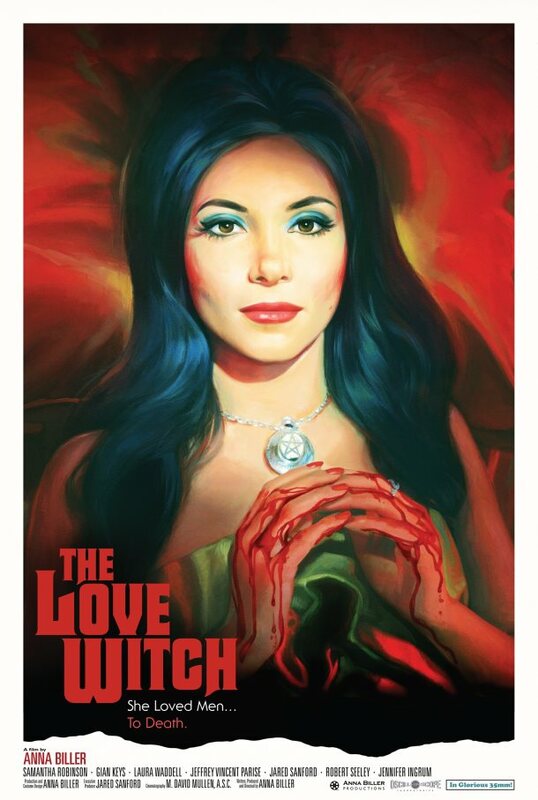 The Love Witch is a colorful examination of male to female relationships as viewed from the female side, for a change (and what a novelty this is for American cinema!). Story wise, this fantastic tale of witchcraft involves a love witch that cannot get men (in all the senses that apply to that verb). They either fail her when she loves them or fail when her love is too strong. What could a woman do?